Today, breakthroughs in synthetic biology has allowed us to edit genes, clone an organism, even create synthetic life. No longer limited to the biologies we are born into, science has allowed us to imagining new futures. Presented with such technologies, we are lodged between the euphoria of being our own maker, and the anxiety of being reduced to a network of physicochemical processes, waiting to be optimized. But what can’t technology do? Can it heal our heartbreaks, guide us through a midlife crisis, or satisfy nostalgic longings? Touching on themes of desire, loneliness, and yearning, this living installation expresses the anxieties of living in a world in which we can design anything- including our biologies and psyches. Reflecting on rapid developments in the biological sciences, these vignettes speak to the biologies we are trapped within and the realities we long for. Built as a reversal of the human-plant relationship in agriculture, this is a living installation where human sweat is harvested for plant consumption. A speculative biofiction, the apparatus attempts harness the potentials of biotechnology to create an olfactory capsule of an emotionally charged moment. UPDATE: Honored that Laboratory of Longings has been nominated for a Hub Week award in the Art, Tech, & Science category! 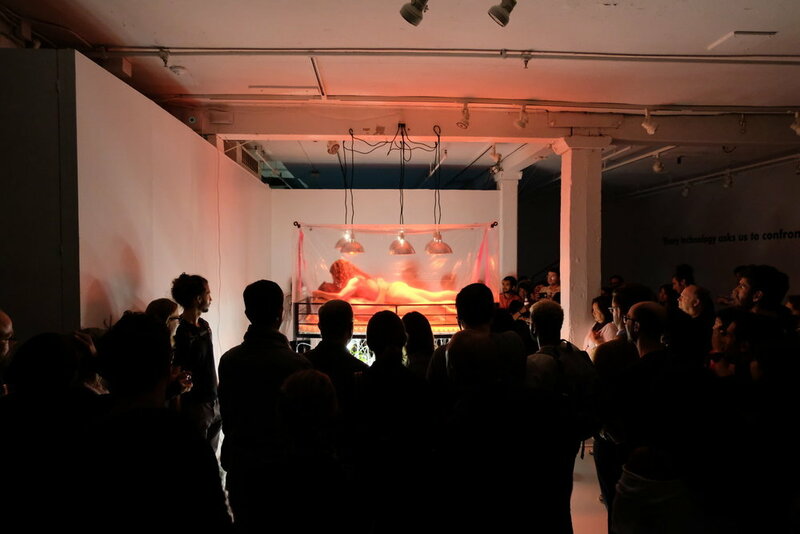 This performance was presented at the Boston Center for the Arts on October 6th and 7th of 2017, in a solo show titled Laboratory of Longings: The Experiments of Ani Liu. The show was curated by Ethan Vogt.